Libertarians have better luck running for office under the banner of the Republican Party than the Libertarian Party. Since the founding of the Libertarian Party in 1972, no Libertarian candidate has ever won a major election. Some Libertarians, such as Ron Paul, have achieved greater success by becoming Republicans to take advantage of the GOP’s larger base and organization. 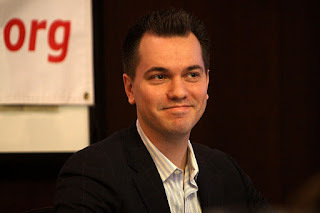 This probably explains Austin Petersen’s announcement that he intends to run for the US Senate in Missouri as a Republican. Republican congresswoman Ann Wagner had been expected to run against incumbent Democrat Claire McCaskill in 2018. Wager announced over the weekend that she planned to focus on her family and home district. Petersen announced his run in an op-ed for the Kansas City Star on Independence Day. He is a native of Peculiar, Missouri who was runner up to Gary Johnson for the 2016 Libertarian nomination for president. At this point, Petersen is the only declared candidate for the Republican nomination.